We sell a wide range of new caravans from the leading manufacturers within the industry; Bailey, Swift and Lunar. The Swift Vogue has been a resounding success since its launch in 2017 and continues as our dealer special for a third season. 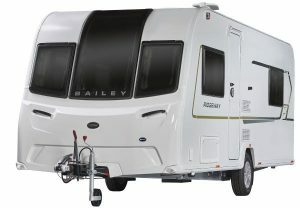 We are also delighted to announce the launch of another dealer special exclusive to the Swindon Caravans Group for 2019, the Bailey Ridgeway. 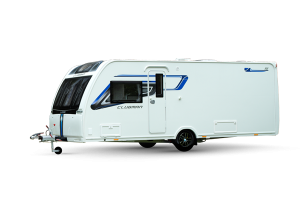 The Ridgeway is based on the new Phoenix range, there are 7 layouts including one twin axle and the results are stunning. For ease of viewing on our sales grounds, all of our caravans are displayed by layout. However online you have the ability to filter by manufacturer, range, berth, price and layout, helping you choose the perfect caravan. Also, for 2019 we are now offering very competitive Caravan Finance terms. We operate a very competitive dealership, give us a call now for our best price. The Swift Vogue, exclusive to the Swindon Caravans Group, returns for a third season after another hugely successful year. We've worked closely with the Swift Group to produce 6 stunning models including one twin axle and two 6 berth caravans. These caravans represent outstanding value and are packed full of features including a panoramic sunroof, 100W solar panel and exclusive graphics and upholstery options. We are both excited and confident that the Vogue will be a huge success in 2019 and beyond. The Bailey Ridgeway, exclusive to the Swindon Caravans Group, is our brand new special edition for the 2019 season. Based on the recently launched Phoenix range, the Ridgeway comes with a host of additional features on top of the standard Phoenix such as a Truma 100w solar panel, Al-Ko ATC trailer control system, an exterior BBQ and 230v socket and bespoke soft furnishings & graphics. We've produced 7 models including one twin axle all of which represent excellent value for money. Bailey were founded over 65 years ago and are now established as one of the best selling caravan brands in the UK. 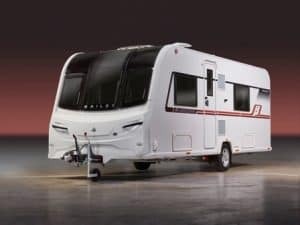 Bailey have 3 caravan ranges; Phoenix, Pegasus Grande and Unicorn IV for 2019. Also available for it's debut year is the Bailey Ridgeway, a dealer special that is exclusive to the Swindon Caravans Group. All Bailey Caravans are manufactured with the Alu-Tech body shell construction system for outstanding durability and feature modern, light and spacious interiors. Taking inspiration from the 1969 mission to land on the moon, Lunar caravans were formed nearly 50 years ago and have been building lightweight luxury caravans ever since. Lunar's Core philosophy feeds innovation and ensures Lunar deliver the most advanced lightweight caravans on the market. Lunar's product portfolio for 2019 is no different. The thoroughbreds of the touring caravan world, Swift continue to invest in caravan design and construction and boast six dynamic ranges that cater to all budgets and requirements. 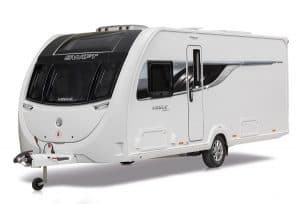 The 8ft wide Elegance Grande has been introduced for 2019 whilst the Swift Vogue range, exclusive to Swindon Caravans Group, returns for a third season.